Whether you need to find the perfect gift for the holiday season or you need to express thanks to your clients and employees, the movies are an entertaining solution. Redeemable at any of our locations, AMC Gift Cards and eGift Cards are sure to please any movie-goer! With over 300 locations across the nation, AMC® brings you the latest in movies and entertainment. 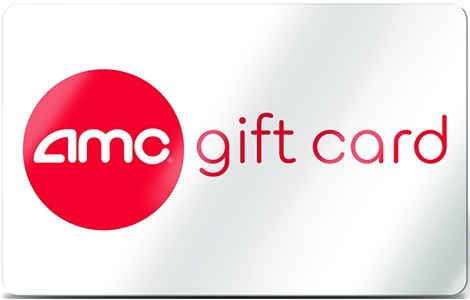 Use your AMC Gift Card or eGift Card at any AMC Classic, AMC, or AMC Dine-In Theatre to purchase your favorite movie tickets, concessions, and meals. National Gift Card is the best place for you to order AMC gift cards in bulk. We are the experts in all things gift cards and can set up your gift card solutions program for you today. Please contact us for more information on bulk, direct-to-recipient, or individual gift card fulfillment for your gift card program. Contact us online or call us at 888-472-8747 today! • To make a purchase, present your gift card at any box office or concession register. • To obtain the current balance of your gift card log on to AMCTheatres.com or visit any AMC Theatre.